Several LOL Surprise items are on sale at Argos. 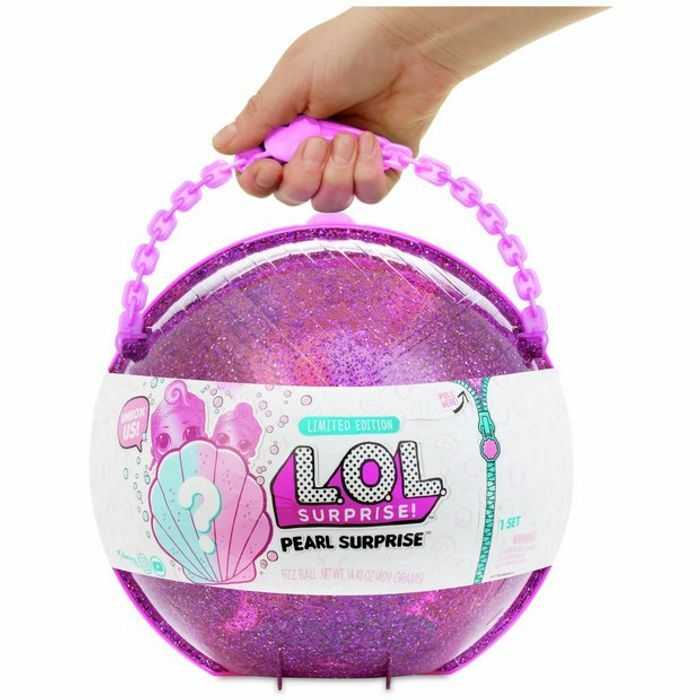 Enjoy more unboxing fun with the L. O. L. Surprise Pearl Set! Discover shimmery, pearl surprises inside with rare, limited-edition dolls and accessories. Styles may vary. Includes limited-edition doll and lil sister. Includes 6 pearl surprise balls. Includes 1 shell-shaped doll stand. Glitter case becomes purse, storage case and bath playset.